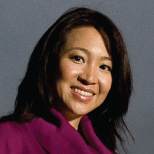 March 19, 2013 — Throughout her career, Peggy Liu has worn many hats: computer programmer, management consultant, software product manager, venture capitalist — just to name a few. But after organizing the MIT Forum on the Future of Energy in China five years ago, it was clear where her passion lay: in advancing clean energy. Liu went on to co-found the Joint U.S.-China Collaboration on Clean Energy and was named a 2008 Time magazine Hero of the Environment. Today, as chairperson of JUCCCE, she has a unique vantage point for envisioning a renewable energy-powered world. Liu will be the featured speaker at Ensia Live on March 27, where she will explore efforts she’s leading to re-imagine prosperity and reshape consumerism in China by building a new “China Dream” that preserves resources for future generations. Read her piece, “Sustainability Is Dead,” in our Voices section. This interview originally appeared in the Winter 2012 issue of Momentum magazine, Ensia’s predecessor. What would it take to supply global energy needs with renewables? The short answer is utility-scale energy storage, intermittent energy on the grid and technology innovation. Why do we need large-scale energy storage? The wind is strongest at night and solar is strongest in the day. If you want to replace fossil fuel power plants, such as coal, you want evenly distributed availability of power throughout the day and night. Fundamentally, we need to get very large-scale batteries. But this is not something currently commercially available, though it is being done experimentally. Technologies like wind and solar are different from coal in another way: Wind is variable at all times and so is solar. We need to use different types of technology that are smarter, more digitally enabled to allow the grid to be able to take this very fickle energy supply. What we need to do is create algorithms, which turn into software, which turns into hardware that integrates into the grid, which can cache energy supply, store it and distribute it on a traditional grid. That’s called integrating intermittent energy on the grid. Nobody does it very well. The price of technology has to come down, too, so the supply of renewable energy can be at parity with coal or oil for transportation fuel. As we deploy at large scale, prices will hopefully come down. It’s already happening in solar, where people think the price will come down fairly soon to $1 per watt. Why not just keep using fossil fuels? Coal and natural gas are going to be a part of this. Fossil fuels are still going to be a large part of equation. The real reason we should go to renewables is because of energy independence and the fact that energy security is national security. We will get to 9.2 billion people or more by 2050 and, looking at the total amount of energy needed even if you assume a 20 percent reduction in energy use through energy efficiency and general human cleverness, we still don’t have enough energy supply. If we look beyond energy, we don’t have enough water and beyond that is food. The new wars are not just going to be based on fossil fuels; they will be based on water, food and arable land. The real reason China is going green is not climate change at all, even though China as a nation has agreed that climate change is real and man-made and China and every other country needs to do its part. The real reason it’s going green is because of this: China has the same landmass as the U.S. but four to five times more people. China has a lot more people on the same amount of land and less coal, less water, less natural gas. That doesn’t bode well for a growing China, which realizes energy is tied to economic growth. Energy supply fuels the growth of nations. If you don’t have it, you have to buy energy from the world, or you can try to achieve energy independence through renewables. How long is it going to take China and the world to get there? It could be 20 years or the next five years. It’s not immediate. A friend of mine has a start-up, piloting some technology with the largest utility in China, State Grid of China. You typically think of China as the factory of the world, but it’s rapidly moving to be the clean technology lab of the world. They deploy a lot of pilots all over the nation, all with slightly different models to tackle the same issue — whether energy storage, electric vehicles, high-speed rail, carbon capture and storage. If one model hits, China can scale up rapidly and deploy it to the rest of the country. Then economies of scale bring prices down. Hopefully, through partnering with China to bring innovative technology into China we can leverage China’s ability to deploy at scale. If the prices are lower, that means Africa can deploy the technology someday. How can this be accelerated? We need better bridges between the U.S., Europe and China to get people comfortable with each other in the way they do business differently. We need more entities like the Joint U.S.-China Collaboration on Clean Energy in all different parts of the world helping people understand how to do business with China and in China. We also need a lot more research dollars poured into all areas of renewables, even algae or ocean power. In carbon capture and storage, we need to get it from $100 per ton to $30 per ton. We need to make those insights transparent to the world and the people spending money on energy and the people innovating. It needs to be online. We need to link that to crowdsourcing innovation. It’s very basic if you’re fluent in the Web world, but it’s not available right now in the energy world. The one FOREVER renewable that gets no mention here is MAKING THE SUN OUR SOLE ENERGY-POWER SOURCE. We can not waste time trying to make fossil fuel and N-energy "feasible" because those energies will be releasing Nature's trapped energy that has to end up worsening CC/GW. Over a year ago, a report in Sci from AAAS indicated a catalyst for facile spliting of water to get hydrogen, the clean fuel. Alameda Ct. Transit in Calif. already has buses running on that gas and several H2 fueled cars are on the market as well. BUT you do not hear any environmental groups calling for govt action to speed the development of vehicles using H2. WHY waste time belaboring bad energy with no awareness and calling for the clean fuel, H2??????? AND CHINA needs to recognize that its biowastes are a resource wasted to end up being biodegraded to reemit trapped CO2 to worsen CC/GW. Biowastes including separated sewage solids can be pyrolyzed to generate an expelled chemical mix(ca. 50% of carbon present) that can be refined to get fuel or chemicals to make drugs, detergents, etc.. The remaining 50% or so is basically charcoal that can be used as a soil amendment as several plant nutrients remain. If we MAKE THE SUN OUR SOLE ENERGY-POWER SOURCE, we can be rid of fossil fuel and N-power plants and all their environmental messes. J. Singmaster, III, Ph.D. UCDavis, 76, Environmental Chemist Ret., Davis, CA.